Can be mixed and layered together. 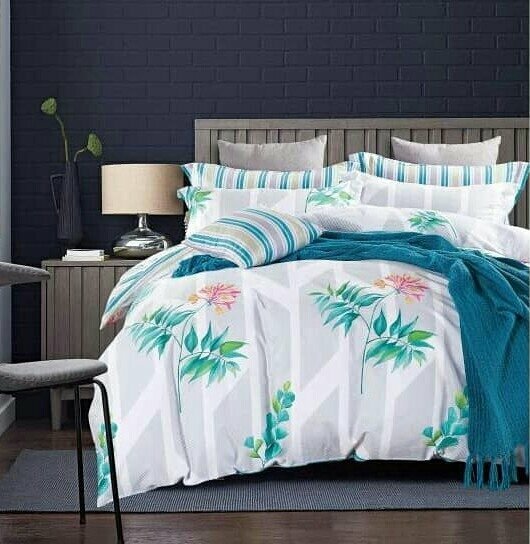 This whimsical floral duvet cover captures the cheerful nonchalance of the season with grand-scale flowers in fresh shades of gold, brown, blue, teal, and green. Woven of crisp cotton percale, the comforter pairs effortlessly with our coordinating Dash Stripe bedding. Available exclusively at EA-Simmons®.